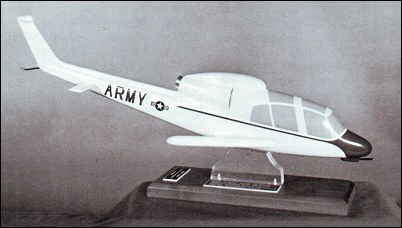 This project dated 1958 and known as the Bell Model D-245 is the earliest known Cobra concept. The short swept stub-wings are fitted with wingtip pods. Correction to previous message: The popular name of the D-245 was simply "Warrior". The model never had an official "name". The name selected for the D-245 was "Iroquois Warrior"